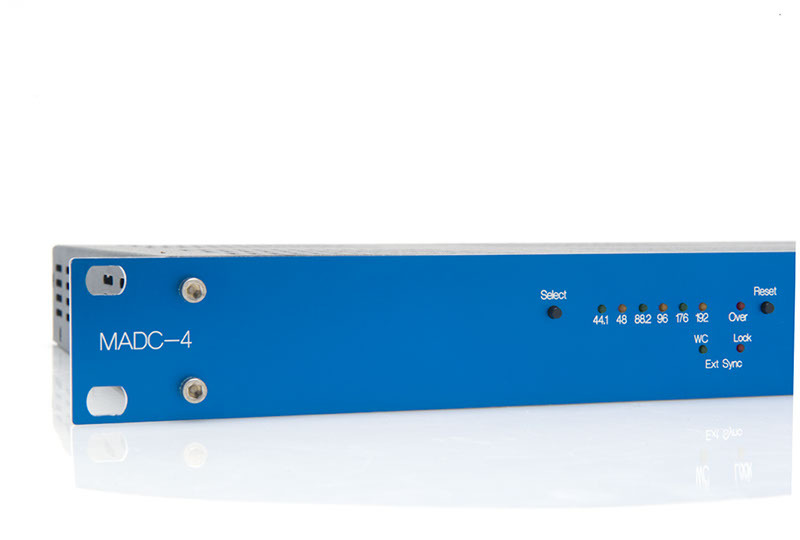 The MADC-4 is an extremely high-quality, four-channel Analog to Digital Converter (ADC) that raises the bar on sound conversion. 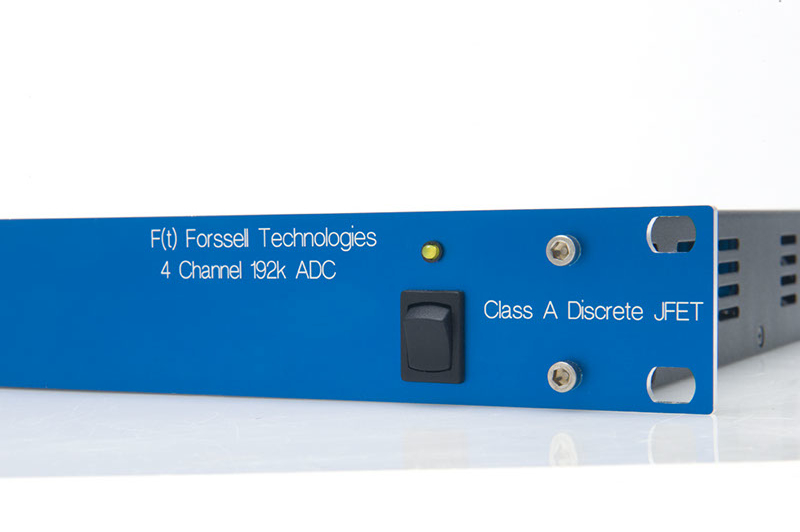 Offering the ultimate in sound transparency and depth, the Forssell Technologies MADC-4 opens up a new dimension in the realm of AD converters. Housed in a 1U rack mount enclosure, the MADC-4 is designed for the most demanding applications where capturing musical performances with accuracy is required. 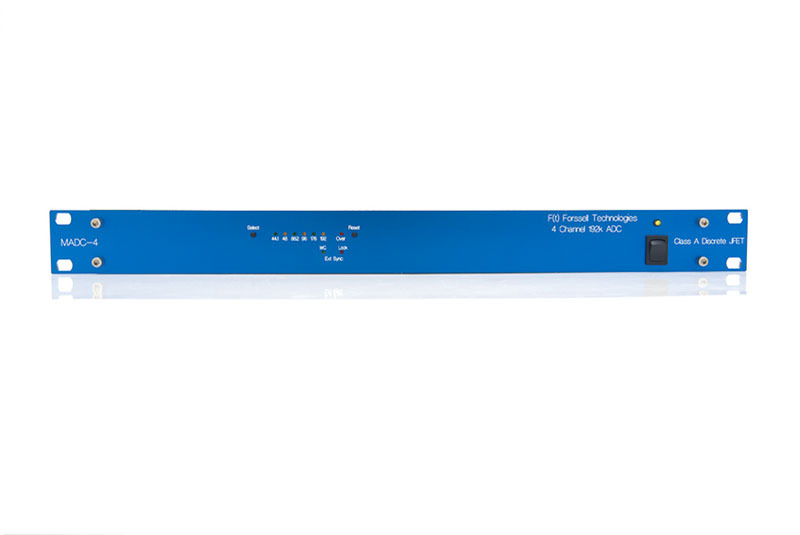 Sample rates from 44.1k to 192k Fs are selected with a single front panel switch, and LED indicators display the selected sample rate. Digital “clipping” is indicated with a single front panel LED that latches on until the “reset” switch is pressed. Analog circuitry features an all Class A discrete JFET with no IC opamps used in the signal path. The analog inputs use high-quality XLR connectors. 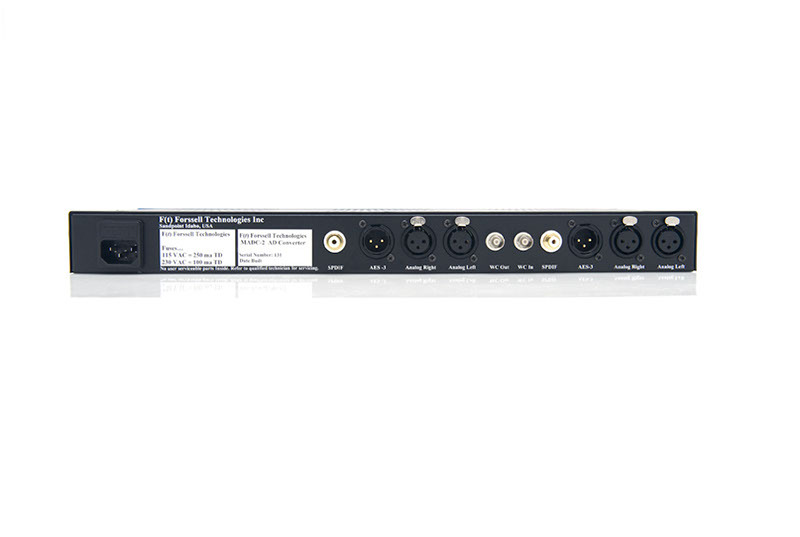 The digital outputs provided are AES3 (XLR),SPDIF (RCA), and Word Clock output (BNC) are provided. An additional Word Clock output is available as an option. The MADC-2 digital output word length is fixed at 24 bits.